Note: all video files available on this page are in Quicktime-compatible format. Clicking the thumbnail loads the first link listed to the right. This short presentation of the hardware components of the WILD platform was shot for a presentation at the LAL particle physics laboratory. These clips were made during a video-brainstorming exercise where we were using a Wizard-of-Oz technique to try various interaction techniques. A member of the team was sitting at the front-end computer and, using Apple Remote Desktop, was controlling the display on the wall. 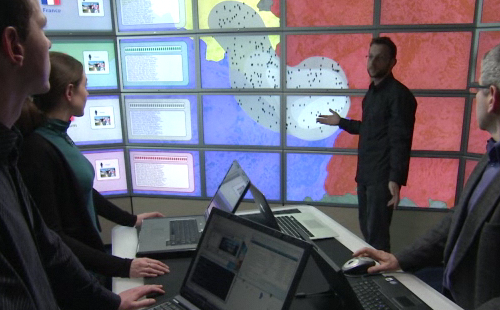 This video was shot by INRIA for the european VizMaster action to demonstrate a scenario where information visualization, visual analytics and large display surfaces can help in an epidemic crisis situation. These videos show our experiments in designing and comparing various techniques for pointing on the wall at a distance with very high precision. We introduce dual-mode techniques that combine a first phase to approach the target and a second phase for precise pointing. 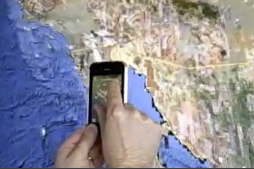 This is a mock-up of a forthcoming video shot by INRIA to demonstrate a scenario of use of WILD for astrophysicists. The software running the demo is called Substance and was presented at the ACM CHI 2011 conference in Vancouver (see Projects page). 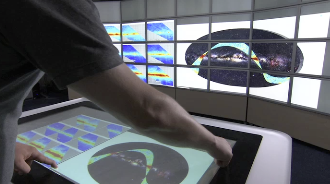 This video was shot by LAL to introduce France Grille, the French grid computing consortium. The presentation is given by Guy Wormser, president of France Grille and head of the LAL laboratory. This video accompanies the CHI'11 paper. See also the slides of the presentation and the project on multisurface interaction. This video accompanies the CHI'11 paper. See also the slides of the presentation and the project on multiscale interaction. This video accompanies the IEEE Computer article on WILD. 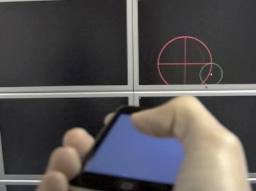 This video accompanies the CHI 2013 article presenting new techniques to point at wall content from a distance. This video accompanies the CHI 2014 article presenting the Smarties technique and toolkit. This video accompanies the CHI 2014 article presenting our controlled comparison of wall display vs. desktop for a classification task.